What a beautiful day on San Francisco Bay photographing the annual Master Mariners Regatta! We started at the Little Harding buoy and then headed to Blossom Rock -- both rounding marks. I tried to capture as many of the boats as possible, but missed some. I've tried to organize the day's photos by category, but inevitably there will be some photos in the wrong categories - my apologies. 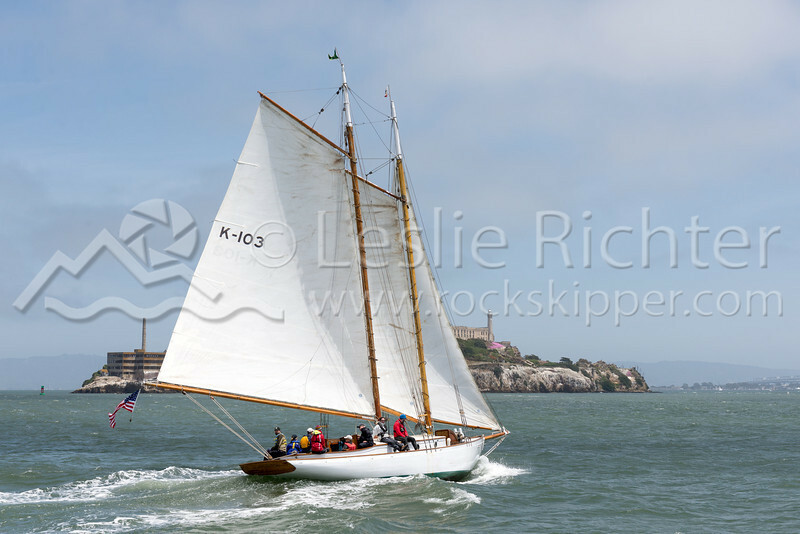 These photos in these galleries are the best of over 1000 images shot, but represent all the boats photographed. Most verticals are sized for 8.5x11" prints - if you order a different size the crop will be different. Try the metallic print option -- the images really look great!